Blueberries, strawberries, raspberries, boysenberries - we just love berries and this tart is packed with fresh boysenberries sitting on top of a crunchy pistachio crumble and filled with a smooth and delectable crème pâtissière. When you can see flecks of vanilla bean throughout, it is ALWAYS worth it. So what IS a morning bun exactly? The morning bun has been a somewhat recent invention in the world of pastry and we like to think of it as part cinnamon bun, part croissant. Tivoli's buns come piped with some creamy vanilla crème pâtissière and are the perfect morning snack to accompany with a warm cup of coffee. One of Tivoli's popular items: the lemon curd donut. Wonderfully soft donuts piped with fresh lemon curd and dusted with sugar. These are far from the only donut varieties available at Tivoli so don't be surprised to see some other little numbers that may cause mass indecision in store! Trying a slice of cake from Beatrix was definitely a must. Pistachios are always a crowd pleaser, bright green in colour and smooth, sweet and salty in taste. The cake was sweet and light and had a hint of lemon curd mixed in. The crunchy pistachio pieces added to the texture of cake and cream and everything just came together like a humble medley of flavours. The Jodie consists of a brûléed passionfruit curd and a macadamia cookie crust and was simply delicious. Passionfruit seems to be the latest flavour trend popping up in cafés and bakeries and we are not complaining one bit. A fun twist on the classic vanilla custard tart that you so often find in humble bakeries and country towns. The brûlée that added that dark, crispy caramel top, the smooth, fresh custard and the sour, fruity taste at the bottom made this tart a delight! Zumbo Pâtisserie's twist on the classic croissant is a simple but tasty one - combine a light and crispy croissant with the outer shell of a salted pretzel and it totally works! Now we're not sure Zumbo is the first to have come up with this combination as there are claims that City Bakery in New York invented the first Pretzel Croissant, but one thing is for sure: Zumbo delivers a well-crafted, light, flaky croissant with a crunchy pretzel shell that is salted to perfection. P.S. We'd be interested to see if anyone ends up making a pretzel pain au chocolat because pretzels and chocolate are a great pairing! 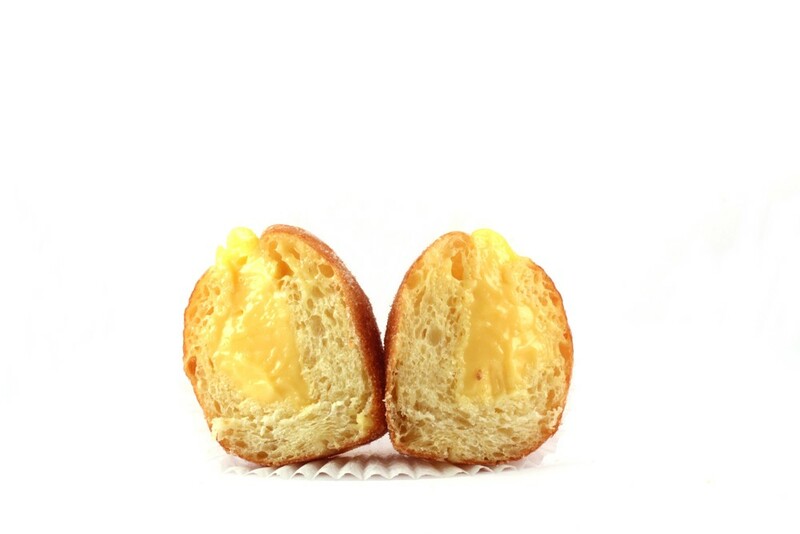 Zonuts are Zumbo's version of Dominique Ansel's famous Cronuts which are essentially a hybrid between a croissant and a donut. 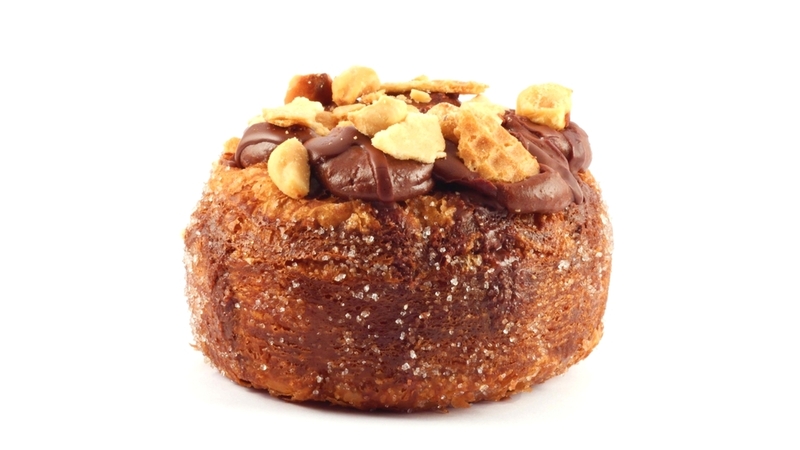 This weeks zonut is filled with a chocolate crème pâtissiere and piped with almost everyone's favourite spread - Nutella. Hazelnuts and wafer pieces are sprinkled on top to create a whirlwind of textures once you bite into it. 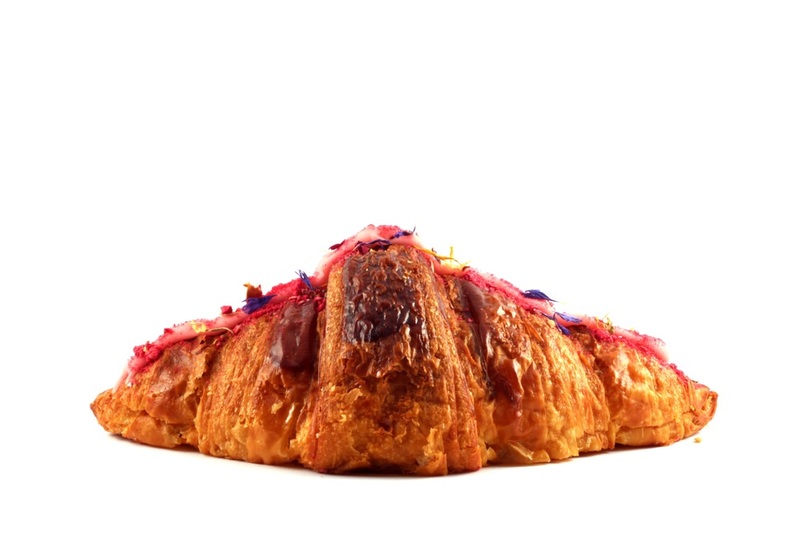 Zumbo offers a different flavour of Zonut every weekend keeping it interesting for their patrons. The first thing you notice about Zumbo's passionfruit tart is it's striking colour. The tart is covered with a beautiful gradient of red to yellow reminiscent of a tropical sunset. Atop the glaze are three perfectly placed passionfruit seeds - a friendly visual reminder of the delicious passionfruit curd within. Beautifully sweet and tart with a buttery crumbly base, this is a longstanding Zumbo classic for a reason. 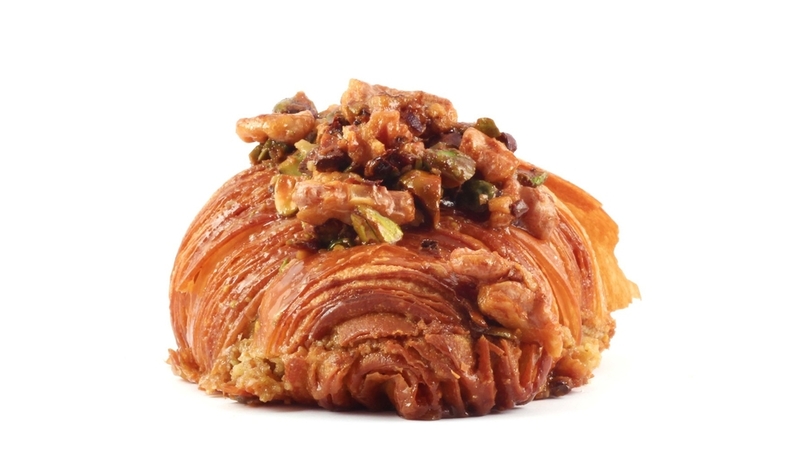 This twice-baked croissant is enticing, partly due to its enchanting name. Ispahan, a city in Iran, is renowned for its rose gardens. Filled with a rose and almond paste, the taste gives you a hint of raspberry and lychee and is topped with rosewater glaze and raspberry pieces. 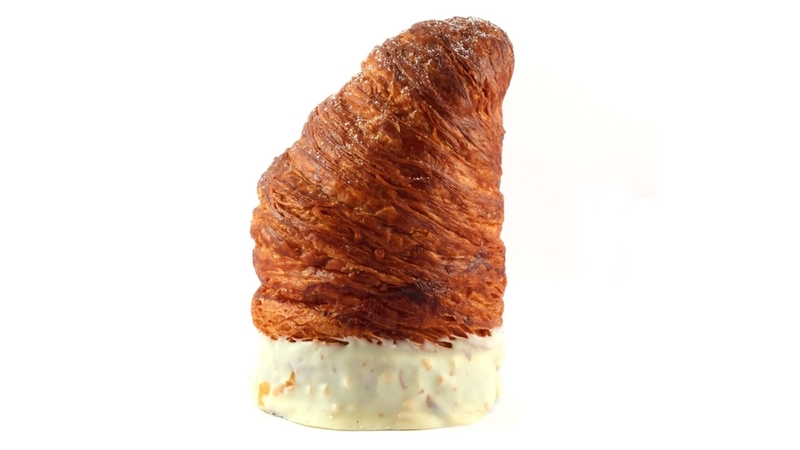 This croissant is a true homage to its name. This pretty little number was filled to the brim with a light pistachio cream and a cute choux 'hat' topped with freeze-dried strawberries. 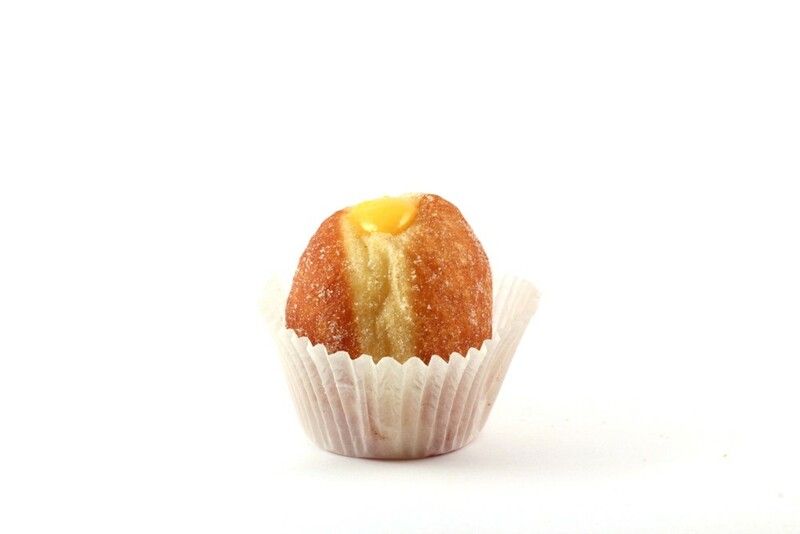 It is one of the many charming choux bomb flavours available at Rustica Canteen. Try one of these deliciously light treats the next time you're roaming the CBD. Golden crispy croissant layers in the form of a fried donut. This Milo Cronut filled with a generous amount of chocolate custard and topped with cream and a milo crisp evokes childhood beverage nostalgia and takes it to a delicious new level. A chausson aux pommes in English is an apple turnover. These babies come in a crisp puff pastry exterior and a light interior filled with chunky apples that have been stewed in sugary butter goodness. You'll find that these pastries can differ in style of filling (chunky or smooth) and is really a matter of preference. Tip: best eaten hot! Another wonderful speculoos treat! 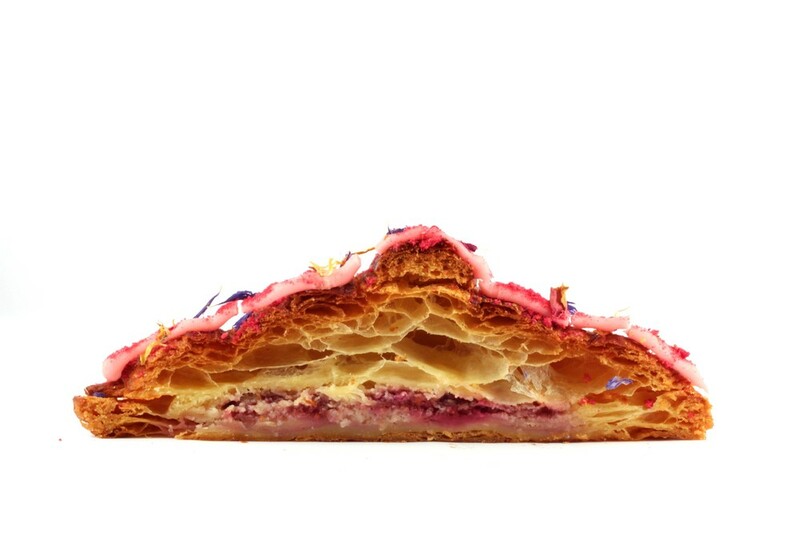 This croissant is filled with the delicious Belgian/Dutch spice biscuit filling and topped with that same filling and raspberry pieces. 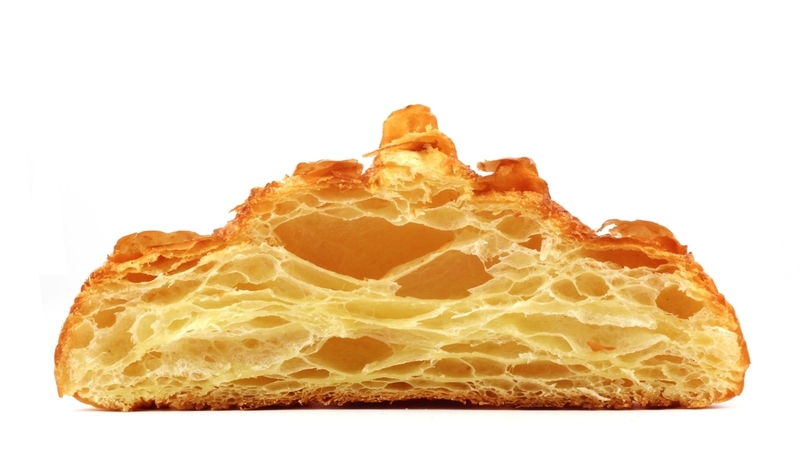 This croissant is so unbelievably crispy, that you can see that crisp just from the photo itself. The raspberry throughout it adds a tasty tartness to the final product. Chez Dré's cruffins are so pretty and unique as they always look like they are getting dressed up for a special occasion with skirts of all colours (check out their other flavours to see what we mean!). This cruffin is dipped in a sweet white frosting and has a delicious blueberry and creamy yoghurt filling. The best part was the surprise of whole blueberries inside...yum! This is a carrot cake with serious twists. We have been obsessed with speculoos (traditional spiced cookies that are popular in Belgium and the Netherlands) and have seen a few places around Melbourne using it as an ingredient in their recipes. This cake in particular includes a speculoos crunch (yum! ), a cream cheese and white chocolate mousse and lemon chantilly. We love this spin on a classic! I think we can all agree that lemon curd is delicious, but mixing it up and trying out other tart flavours such as passionfruit in this case is always a good idea. The beautifully piped meringue tops were so soft and looked like they would make the comfiest pillows. Dried rose petals are sprinkled over the top with an almond shortcrust base. Another sweet take on an Aussie (and/or Kiwi - still hotly contested) classic. This pavlova tart has an almond shortcrust base and is filled with a lemon curd and a white chocolate chantilly. Freshly sliced strawberries are then added on top and covered with a beautiful meringue dome that is lightly dusted with icing sugar. A snowglobe of goodness! 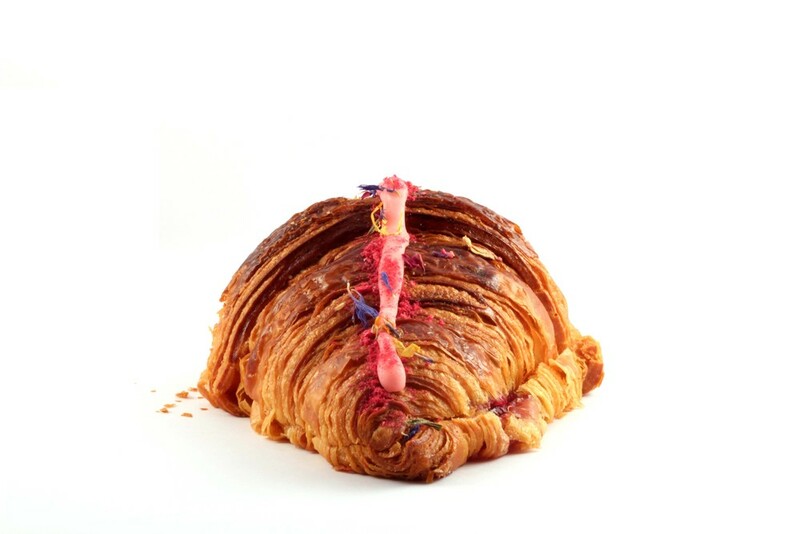 The signature Lune croissant. The perfect balance between sweet and salty, crisp and flaky on the outside, and light on the inside. 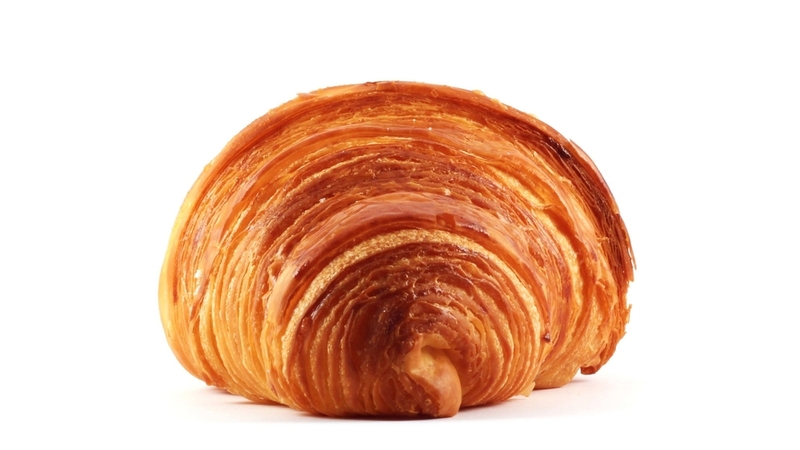 The quality of butter and the lamination process are crucial to making an excellent pastry. 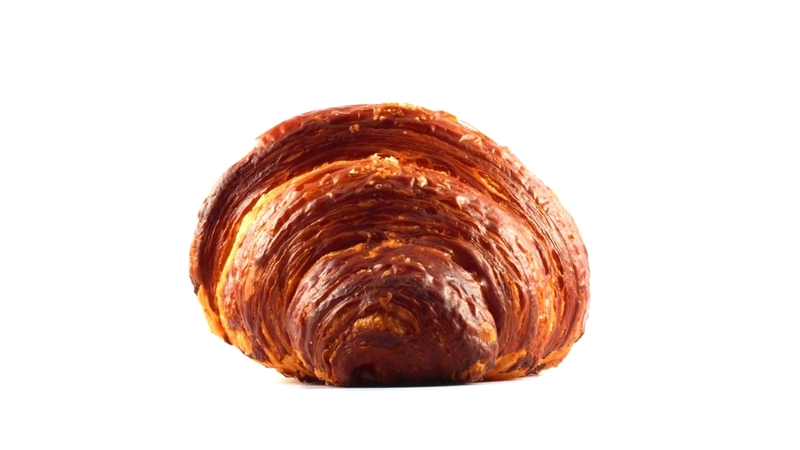 You won’t feel heavy after eating one of Lune’s croissants and that is exactly what a great croissant should be. Okay first of all, who doesn’t like baklava? To have it as a croissant flavour is just brilliant and this did not disappoint. 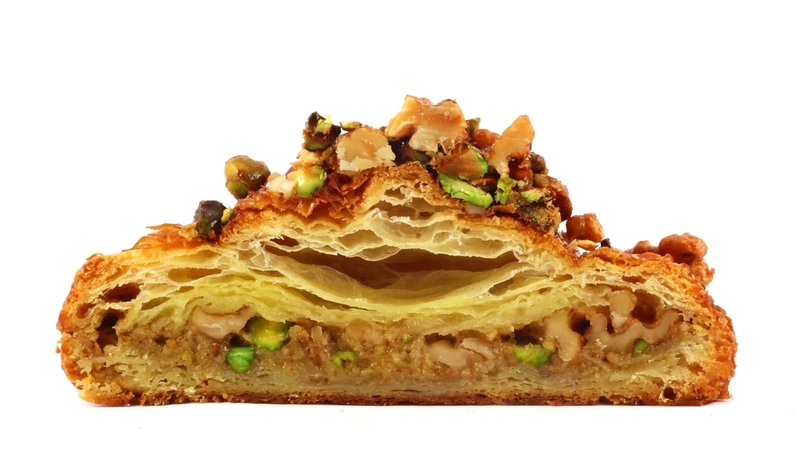 Topped with chopped pistachios and walnuts and a glorious pistachio-walnut filling, your taste buds suddenly burst with the best combination of Mediterranean ingredients. You can taste a hint of honey that feels like it’s been lightly brushed over the croissant, which ties all the flavours together.